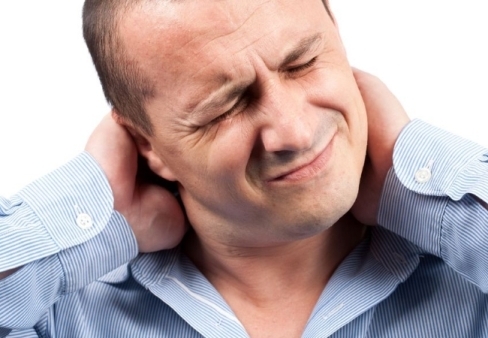 Torticollis or stiff neck can be as painful as annoying. How to remedy it? Let’s see what the natural and faster allies are to relieve the discomfort of torticollis. To solve a recurring discomfort and even lasts several days, you have to act fast. Often, we often resort to the kit, forgetting that we can draw on other remedies that nature provides us, and without the side effects of medications. Much simpler natural remedies, and can also be applied in case the torticollis affects the children. Let’s see what and how to use them. The natural remedies for stiff neck, we have plants. In particular, the black currant is useful, like the hawthorn, able to act against inflammation. We may also use the ponytail, well for relieving muscle tension. Another natural remedy is Arnica ointment, proven effects in muscle aches, strains, bruises … It is applied directly to the painful area. A similar effect to that obtained with Hypericum oil. If the pain is caused by a muscle spasm, a grandmother’s remedy is to prepare this recipe: cook for 3 leeks in milk, mix well and apply the resulting mixture in the neck. Pain or discomfort in the neck can be really uncomfortable especially because the symptoms can be difficult to combat. There are some quick remedies to relieve stiffness and pain in the neck, especially when an unexpected sting appears to be working or carrying out an important task. The first is to sit with your back and neck straight. Place one hand on your belly and breathe slowly and deeply, inhaling and exhaling. In a few minutes, the muscles relax and the pain will erode. Then slowly and gently rotate the neck in the direction of clockwise. Another movement that also helps loosen the neck is placed upright, with relaxed back. Bring a hand to the side of the head and pushed, without force, to the side of the hand. Then go with the other side. Another classic grandmother remedy is applied to the painful area: hot salt wrapped in a cloth or apply heat for a few minutes. Sometimes, to relieve pain may be sufficient hot water running under the shower to relax the area. In conclusion, remember that often, stiffness in the neck is the result of poor posture, especially when we are sitting for many hours. It is very important to keep back straight.